For a short while, at least, I feel like I did back in 2016, when I raced ALL the time. 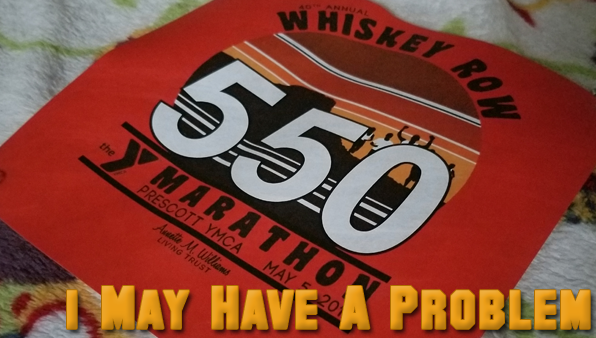 When deciding which distance to do at Whiskey Row, I debated between doing the full again, or going with the half. In 2016, when I ran the Whiskey Row Marathon, it was my third full in three weeks. It took me nearly five hours to complete, and I was not enjoying it. As I discovered at the Whiskey Basin 88k, mindset is everything. I was excited to have a marathon down, and 30 miles to go. So, could I have tried to use that trick during a full this weekend? Sure. However, being one who enjoys patterns, I saw another option. Do the half marathon, and continue my race distance reduction by half. Plus, I could be done and home before lunch! The Whiskey Row Half Marathon course was very similar to Calico Racing’s Labor of Love, just with some extra turns & starting at 5,400′, versus peaking there. Perusing past years’ results – it looks like I could do pretty well, at least in my age group, if my legs hold up. So, Saturday morning, I will be at another race start line, to tackle another half marathon! Be the first to comment on "Am I A Race Addict?"